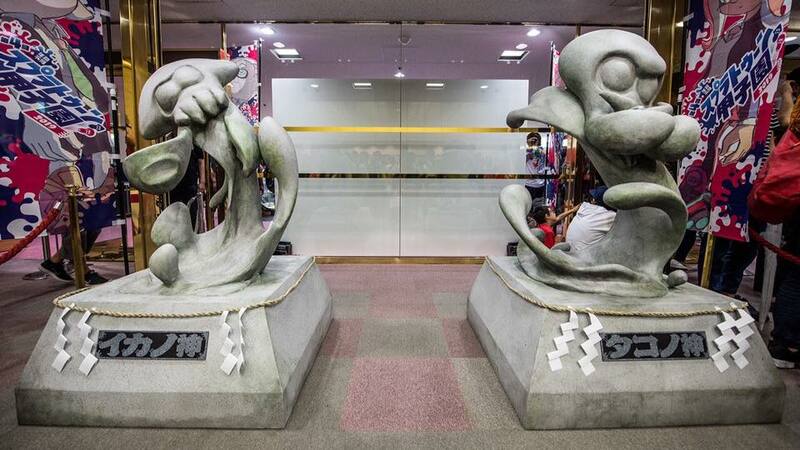 At the entrance of the Splatoon Koshien tournament in Japan, Nintendo have brought not one but two statues to greet attendees and competitors. The statues are called Squid God and Octopus God and have a very Japanese touch. Check them out below.